Sodium sulphite is a soluble sodium salt of sulphurous acid (sulphite) with the chemical formula Na2SO3. 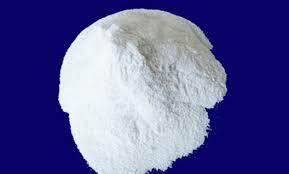 Sodium sulphite is primarily used in the pulp and paper industry. It is used in water treatment as an oxygen scavenger agent, to treat water being fed to steam boilers to avoid corrosion problems, in the photographic industry to protect developer solutions from oxidation and (as hypo clear solution) to wash fixer (sodium thiosulfate) from film and photo-paper emulsions, in the textile industry as a bleaching, desulfurizing and de chlorinating agent and in the leather trade for the sulphonation of tanning extracts. It is used in the purification of TNT for military use. It is used in chemical manufacturing as a sulphonation and sulphomethylation agent. It is used in the production of sodium thiosulfate. It is used in other applications, including froth flotation of ores, oil recovery, food preservatives, and making dyes.